I moved a month ago, September 1, to a new corner in San Francisco. In two years here, I’ve lived in the Mission, in Noe Valley, in Bernal Heights, in Pacific Heights, and now in Hayes Valley. 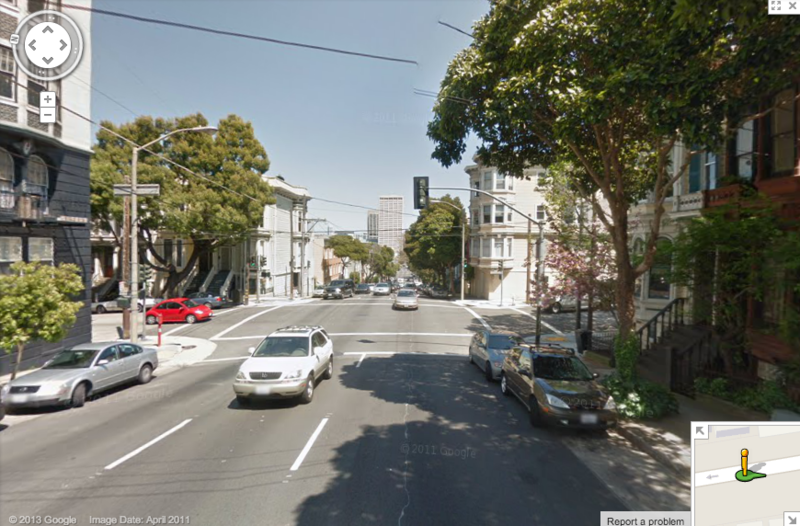 The picture above is my corner, as photographed by the Google Street View car in April 2011. Look at the stairs, across the street on the left side, and how they match with the current construction. 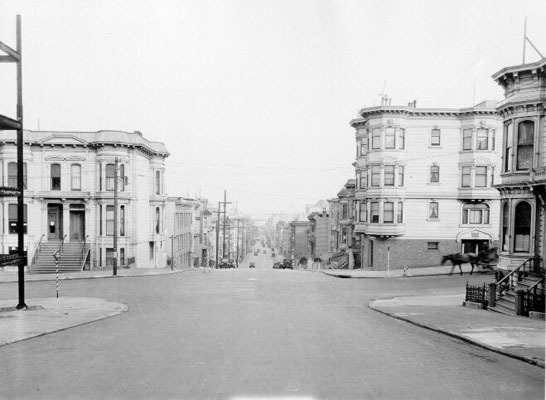 And across the street on the right, the building now obscured by a tree but just the same. A horse, right there on the street! And look, on this side of the street, on the left, the building is under construction. 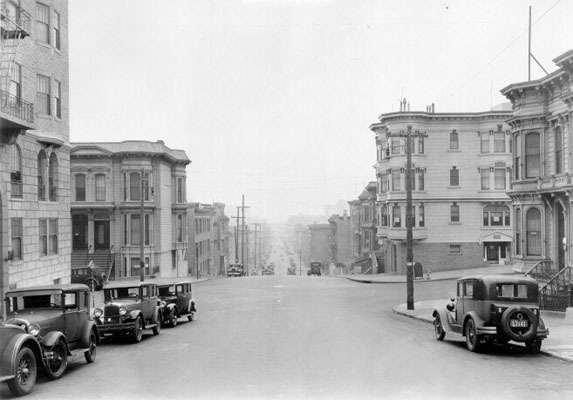 San Francisco’s got a lot of interesting history for a relatively new place. It’s nice to feel like I’m part of it.